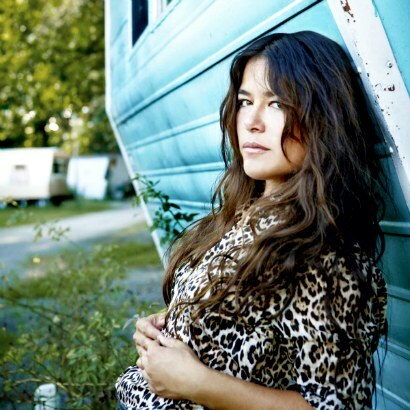 She’s not quite ready to kick up her heels and sing “Walking On Sunshine” or anything, but Rachael Yamagata does at times sound less melancholy than usual on Chesapeake, her first album in three years. "I think it’s just a part of me that’s now able to come out a little more through the actual songwriting," she explains. And as Yamagata goes on to suggest, she's not nearly as dispirited in her everyday life as her music has perhaps made her seem. “Stick Around” is another one. Yeah, “Stick Around” is almost a happy song. I don’t write many of them, so there were some that I felt like if we can get this to sound true for me musically, then that’ll be a great feat that I’ve sort of always struggled with. So I was really happy that we got those. When you say you struggled, was that because the happier songs had always been harder for you to write? On previous records I was so fascinated by sorrow and heartbreak and things in relationships—that’s just what I wrote about—but I wasn’t ever truly depressed. I think people associate your nature with your work, and that’s just what it is. And that’s true on a lot of levels, but there’s also a sense of humor and I’m extremely hopeful and optimistic. It always surprises me if something doesn’t work out. That’s why I write about it, because I’m fascinated, like, “What happened? Why is this so painful?” I’ve never wanted to write the happy songs. I’ve always only been more interested in sort of the darker things. I feel like I’ve finally figured out, for me, how to keep it sounding like myself and yet still have a lighter tone. And I’ve tried it before; it just felt forced. It felt like I was trying to write a happy song. That’s why I’ve never put any on record. But these came about very naturally and felt like me. What was the tipping point, when you realized you’d gotten there? Did you surprise yourself or did you know you had it in you? Did you know it would come out eventually? I’m not sure that I did, actually, because I’ve certainly been through many, many rounds of, like, the business side saying, “Write a happy song.” [Laughs] Or, “Let’s try some tempo,” or, “Let’s try co-writing with a bunch of people and see what you come up with.” And they’ve never really felt like me. So I wasn’t sure if I had the optimistic part able to come out. But you did have the wherewithal to recognize that, this time, it worked. Yes, I did. And I think it came because I wasn’t focused on getting it. Chesapeake is available now on Frankenfish Records. 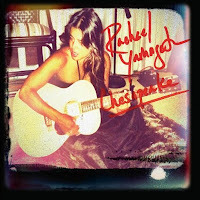 For more information on Rachael Yamagata, please visit the artist's official website.